Inkspirational Designs: Garlands and Banners for Valentine. I’ve been working on some Valentine’s stuff. First off are some banners or garlands, which ever you may call it. I have 2 listed in my shop already to ship.According to Wikipedia, a garland is a decorative wreath or cord, used at festive occasions, which can be hung round a person's neck, or on inanimate objects like Christmas trees . A banner is a flag or other piece of cloth bearing a symbol, logo, slogan or other message. This banner is just perfect to celebrate your love on Valentines and versatile enough to be used at an engagement, wedding or anniversary party. Made from quality 180gsm card. Each of the hearts themselves are approx 9cm/3.5 inches high and 10cm/4 inches wide. The banner is approx. 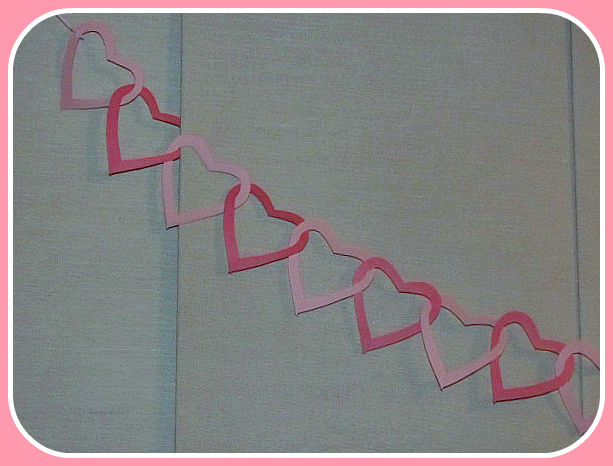 2m or 6.5 feet wide and has 40cm/15 inches ribbon ties on each side for easy hanging. 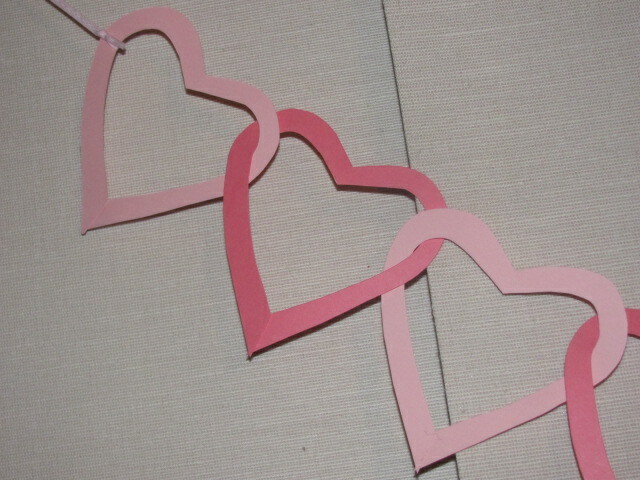 The hearts are all hand cut and interlocked. 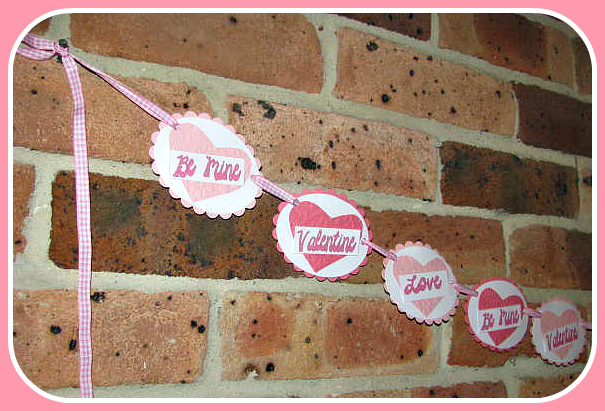 The second one offered is my Pink Valentine Garland which is just perfect. It is approx. 2.6m or 8' 6" long or rather wide and the scalloped ovals being approx 4 inches wide. The ovals can be slid closer or further apart as desired for your spacing. The message on these ovals are "Love", "Be Mine" and "Valentine. The ovals were cut on my Cuttlebug and the hearts were hand cut before being embossed. The word labels are computer generated. i wish I had someone I could spoil with one of these. 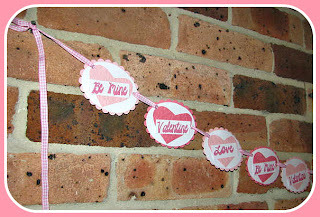 Will you be my valentine... then you can make all my embellishments. I love those trees! I will have to put in another order soon. Hey there, Loving that pink hearts banner.